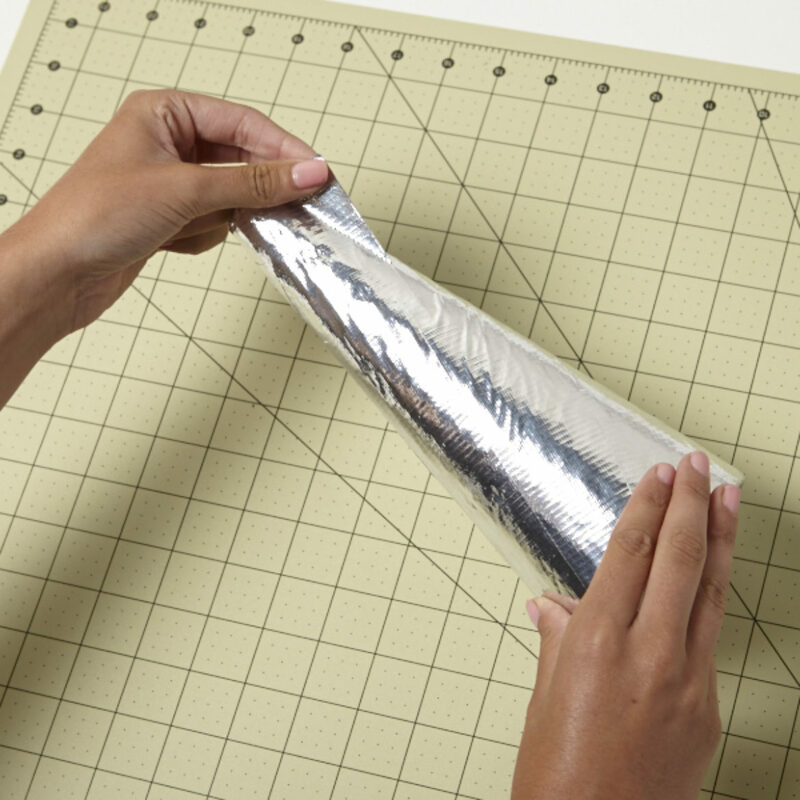 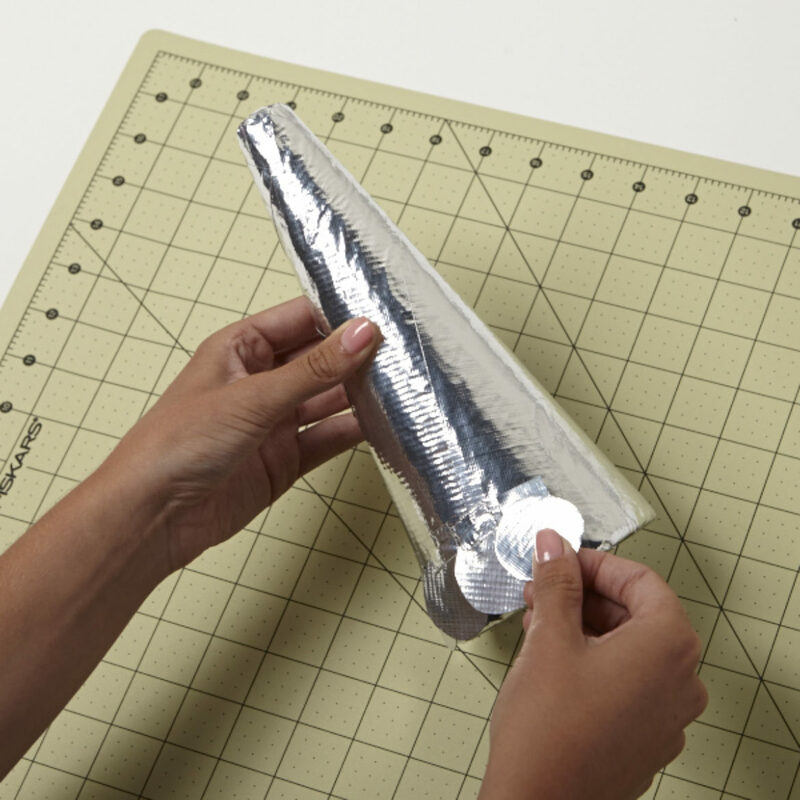 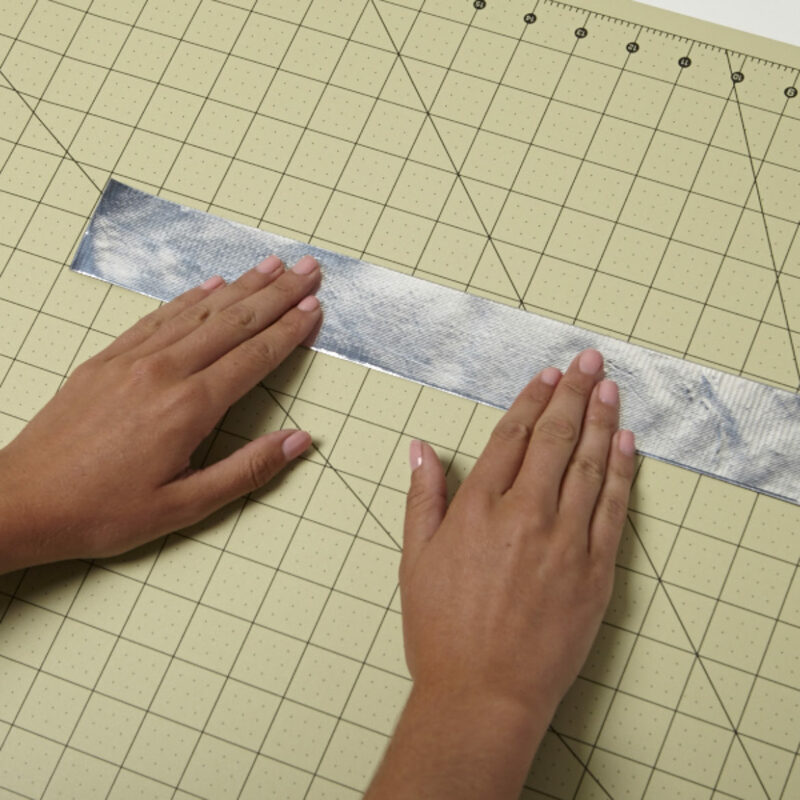 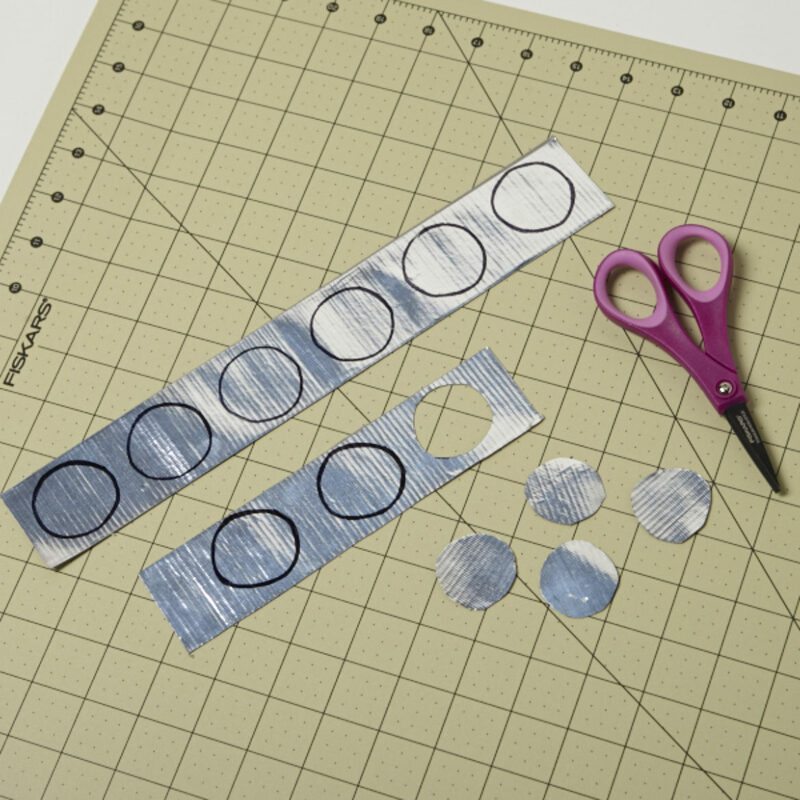 Trace and cut out circles from your Duck Tape® strip. 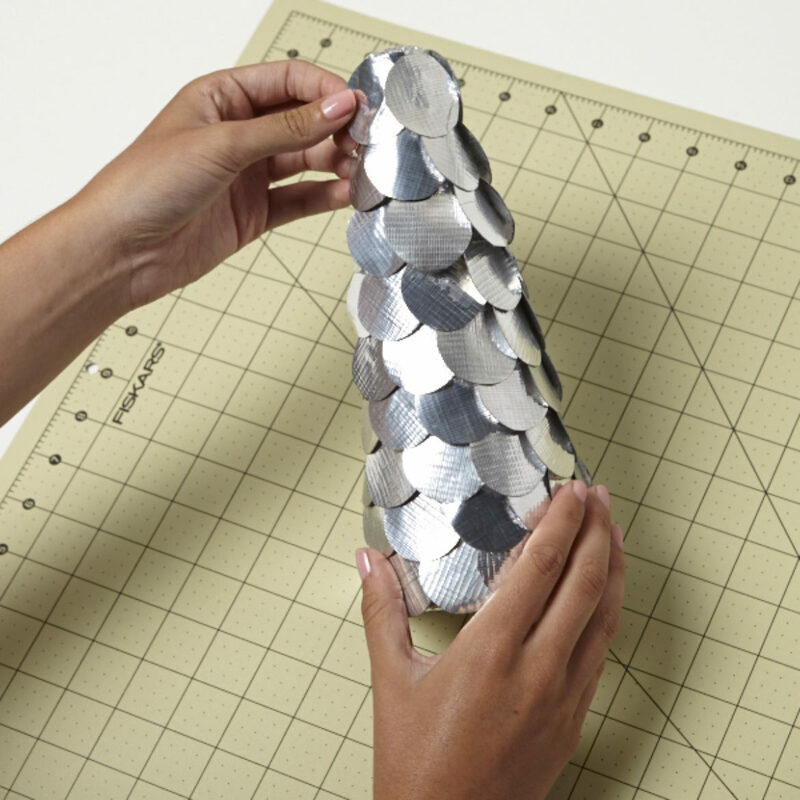 Using a small strip of Duck Tape® on the top of each circle, place them on your cone starting at the bottom. 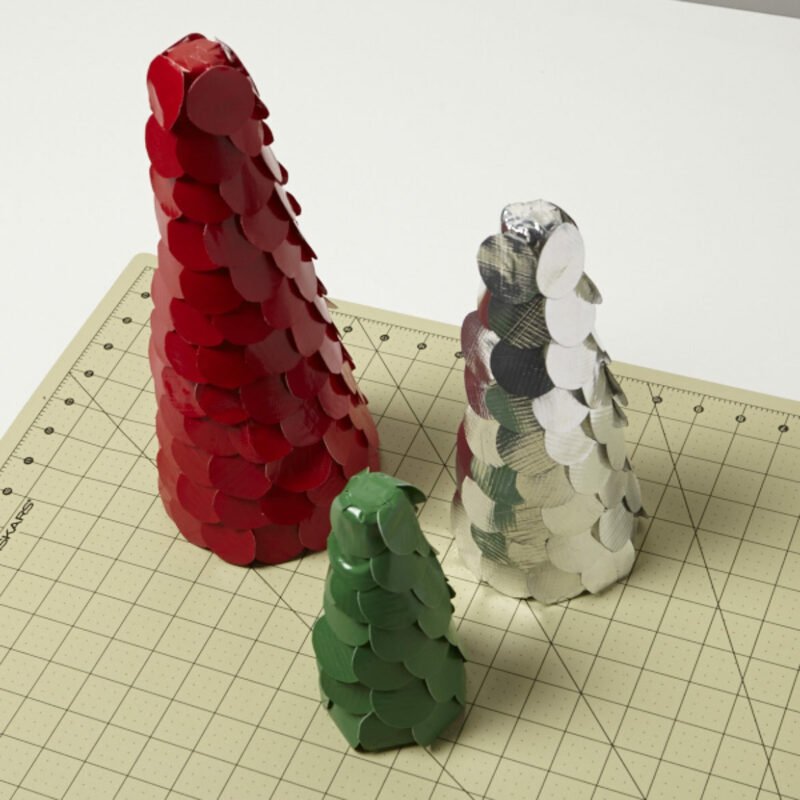 Repeat these steps to make more trees using different size and shaped cone. 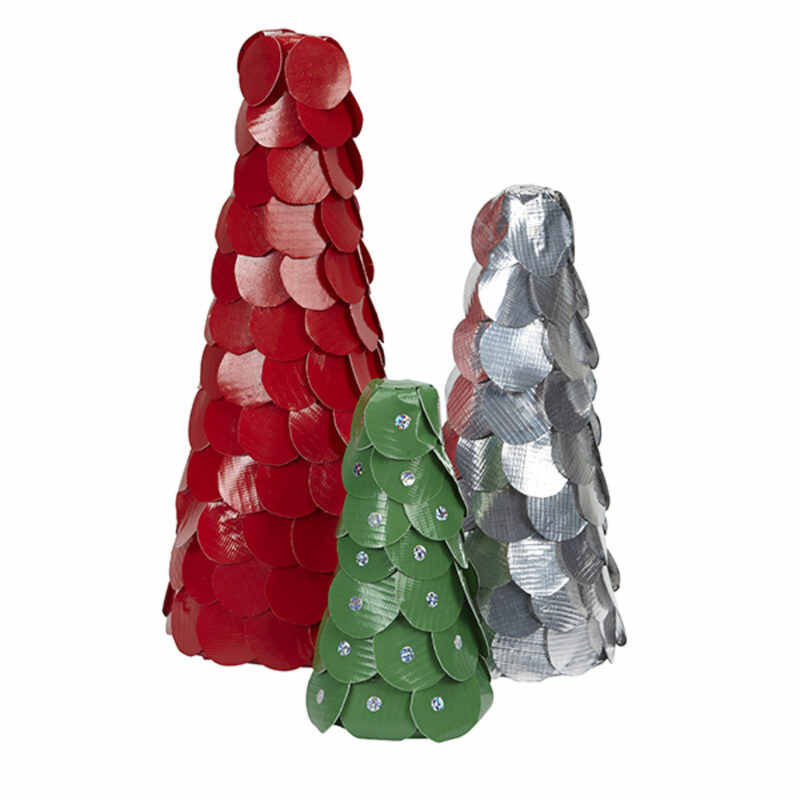 Add ornaments to your trees with Duck Prism® Crafting Tapes.